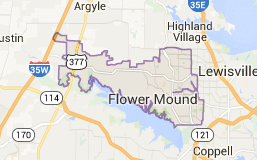 DFWCityhomes is an established Flat Fee MLS listing Service and Full Service real estate company that represents buyers and sellers in Flower Mound, Texas. Our clients receive a full service experience with agent representation at a fraction of the cost. Our simplified process is hassle free, proven, and effective.